Defending against a surprise Zerg rush usually ends with a GG. Defending against a surprise Zerg rush that’s already in our base, has to end with GG. But not for EJK, who managed to came back from a quite impossible situation. As EJK spots the Nydus worm (the nasty Zerg transport strain everyone hates) in his base, he immediately walls it in with a bunch of Engineering Bays. Targeting it would be pointless, the Queens would heal it right away. 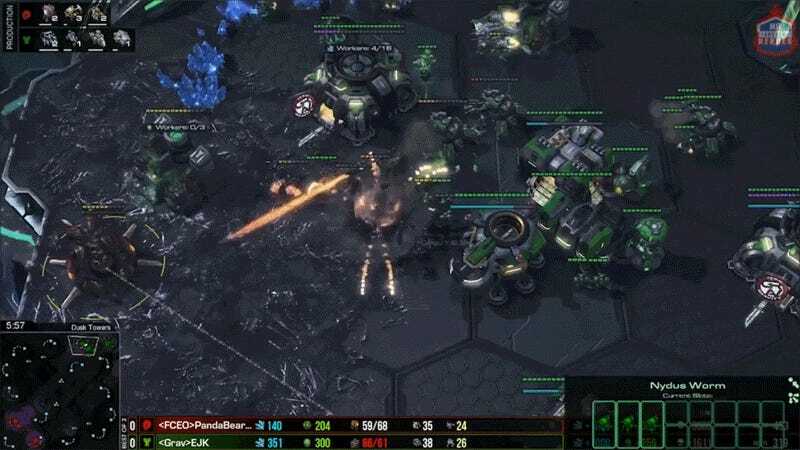 After gaining a few extra seconds with the wall, he had to face multiple rushes of Zerg units coming through the Nydus network, with only a handful of Terran units. But managing his workers, marines, tanks and medivacs (these two can be pretty deadly together) creatively and with perfect micro, the Zerg player has to throw the game.